It’s like a sensory explosion, forever etched into your memory. The time, the place, intricate details. 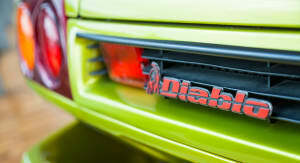 A name never more befitting of a car, a statement in Italian meaning simply ‘wow’. A compliment of the highest order. It was all over from that moment. There were the requisite posters on bedroom walls, repeat viewings of Cannonball Run and hours spent playing ‘Test Drive’ on the Apple IIE. 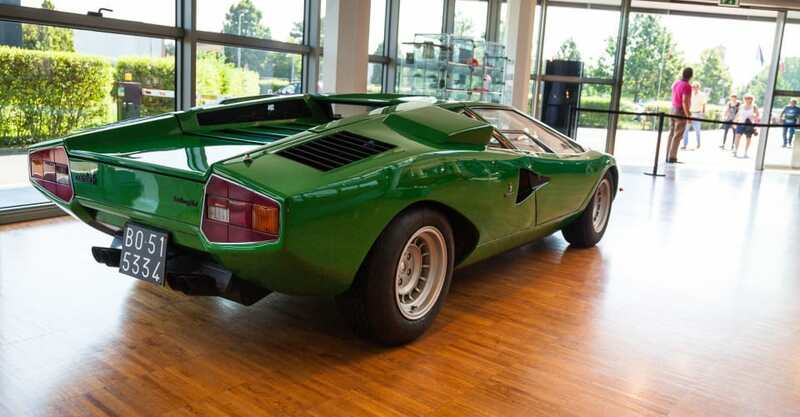 Lamborghini was more than a boutique manufacturer – they were the ultimate wildcard. 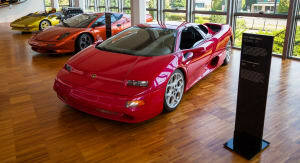 A slice of craziness in the automotive pie that had just the right mixture of aspiration and unattainability. It would be 23 years until my first opportunity to drive a Lamborghini: a yellow six-speed manual Gallardo. Sure it had a tape deck and the speaker grille fell off when I first closed the door, but the punch from the 5.0-litre V10 and that metal on metal ‘chink’ accompanying every gear change had me straight back to that moment in 1984 in a rush of emotion and excitement. There have been others since then. Coupes, Spyders, Superleggeras, even a ‘Bruce Wayne’ spec Murcielago LP640 in stunning Grigio Telesto. Each time the sense of excitement is there, and each time I’m always left wanting for more. So this year, on the 30th anniversary of my first real encounter with the bull, I was honoured to be invited to visit the home of Lamborghini, Sant’Agata Bolognese. Sant’Agata isn’t a very big place. In fact from the autostrada to the town, I saw a grand total of one sign telling me I was on the right track. For the most part, it is as typical a town as you would find in Northern Italy. 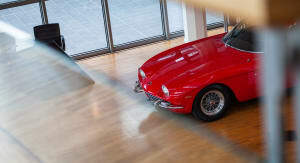 There are farms, houses, a piazza surrounded by a church and some shops – you would almost miss the birthplace of Italy’s most flamboyant supercar manufacturer if you didn’t know you where you were. 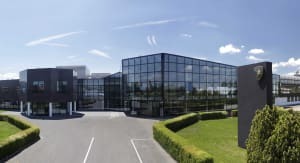 The Lamborghini factory sits in the same place where the marque’s founder, Ferrucio Lamborghini, broke earth back in 1963, albeit now surrounded by much larger and more modern buildings – testament to the brand’s growth under the ownership of the Volkswagen Group. With over 2000 employees – 350 in the factory alone – Lamborghini is currently enjoying its most successful period in history. 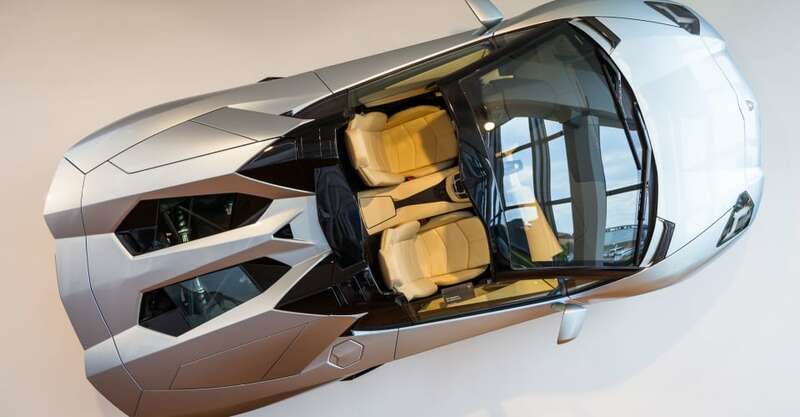 As well as actual vehicle production, the site houses the official Lamborghini Museum, presenting a stunning showcase of the brand’s halo cars and design concepts from the 1960’s to today. From priceless production models to one-off prototypes, they are all here. 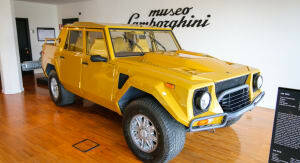 Muria, Egoista, Jarama, Estoque, Reventon and Countach – the most famous names, up close and personal. It’s a perfect introduction to the hallowed turf that awaits: the factory floor. 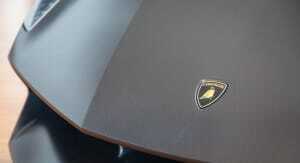 Lamborghini run two separate production lines, one for Aventador and one for its latest supercar, the Huracán. 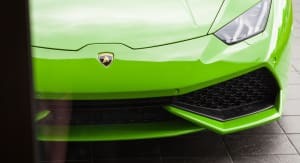 The successor to the long-selling Gallardo, the Lamborghini Huracán is still in the early stages of mass production with the line only running at 50 per cent capacity, producing 13 of the $428,000 cars a day. 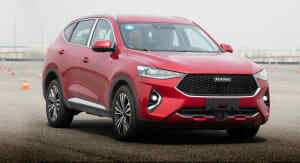 The manufacturing process for an all-new car takes a while to perfect so the throughput is scaled up over time, allowing factory staff to become familiar and fluid at each of the production stages. Interestingly, May this year saw the first ‘coloured’ cars starting to be built. 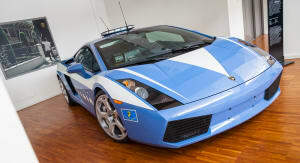 Lamborghini state that the first cars are always white to allow for both engineering evaluation and sadly, crash testing. The Huracán passes through 25 stations, each timed at 35 minutes. I’ll save you the trip to your calculator but that’s roughly 15 hours to build the newest V10-powered bull. The last Lego set I built took me four days, so that’s pretty impressive. The Hurucán’s bigger brother, the V12-powered Lamborghini Aventador, has a slightly longer gestation, taking almost a full lap of the moon at 23 hours per car (15 90-minute stations). 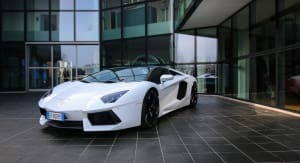 The line mixes Aventador coupes with roadsters and even includes special editions, with a Singapore-bound matte black LP-720-4 50˚ Anniversario receiving its final exterior touches during my visit. 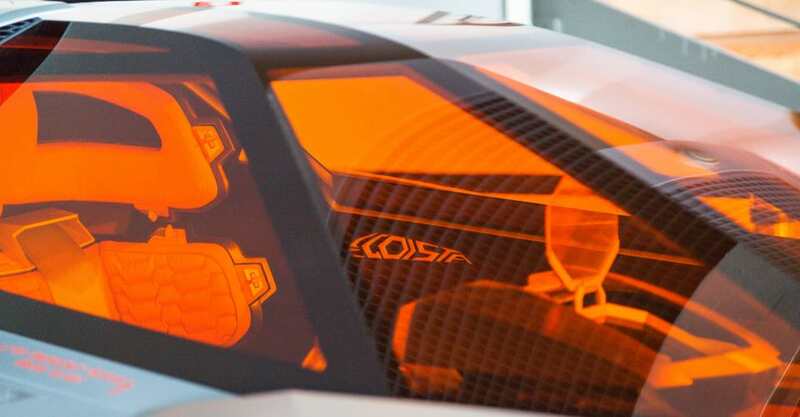 Lamborghini employ a Just In Time (JIT) manufacturing process meaning that any components required for each station are themselves constructed (just) in time to meet up with their installation allocation on the production line. 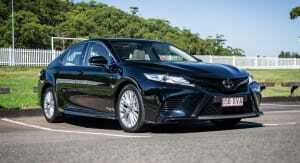 The JIT process means that each car can be as individual and as different to the next on the line as required. Chassis arrive, painted and ready for assembly, in random order – a red one, then black, then green. 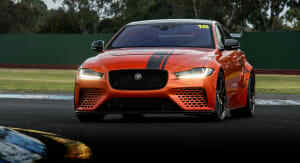 North American market cars with their amber side marker lights follow RHD UK market cars and ‘creatively’ specified cars bound for the Persian Gulf. Each one, carefully and lovingly hand assembled. That’s right, while technology abounds, there are no automated production stations. Everything is prepared and built by talented factory workers. 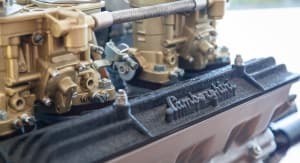 The interior components are the most impressive, with a team of artisans producing the detailed quilted and embroidered components for each and every car. 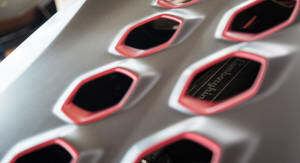 The aluminum block and crankcase of the Huracán’s 448kW/560Nm 5.2-litre V10 engine is still sourced from Audi’s engine plant in Hungary, but both the V10 and the Aventador’s 510-530kW/690Nm 6.5-litre V12 engine are assembled entirely by hand at the Italian car maker’s factory. 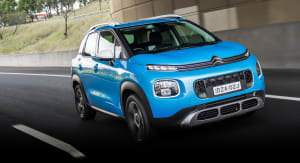 And to satisfy the child in all of us, it’s heartening to know that each and every car is run up to 200km/h on a dyno then taken on an individual road test around the rural Bolognese roads before being classed as ‘built’. It simply wouldn’t be right any other way. 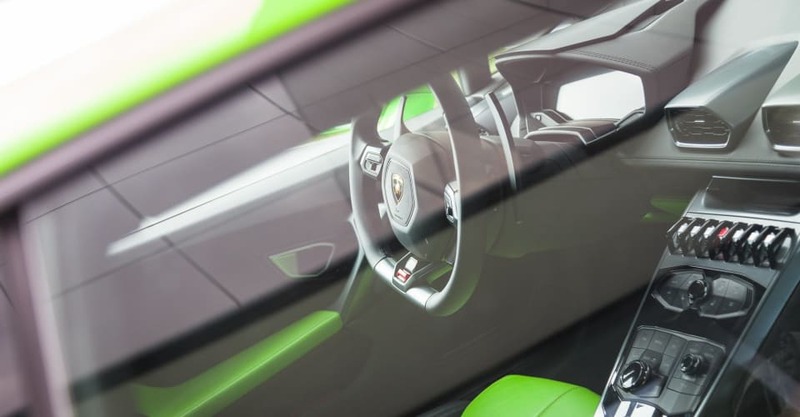 The first customer Huracán is due to arrive in Australia next month and while Lamborghini note that while North America is still the largest market for the marque, all their markets, including Australia, are very important. 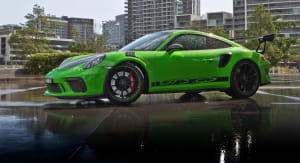 As I leave, there is a bright green (Verde Mantis for those playing at home) Huracán parked out front, while a second V10 supercar, it’s Rosso Mars (red) paintwork still covered with body protection mouldings idles past and eases into traffic for its maiden road test. Even simply standing there, I still experience that rush of excitement I felt 30 years ago. The wild bull seems to be showing no signs of slowing down, and I hope it never does. Photos by James Ward and David Zalstein.